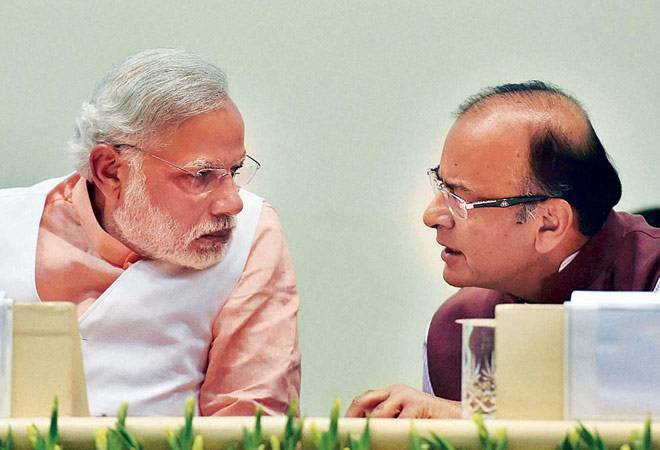 Modi govt comes to the rescue of public sector banks with recapitalisation, but at what cost? Most of the new capital will go down the drain as more than half a dozen PSBs are under the preventive corrective action (PCA) of the Reserve Bank of India. The government today announced a massive capital infusion plan of Rs 2.11 lakh crore over the next two years for the public sector banks (PSBs). The idea, says the government, is to strengthen the lending capacity of government owned banks. Here goes what it actually means for the market, banks and the economy. The government plan includes Rs 76,000 crore through budgetary and market raising. There is no break up given, but the government has budgeted Rs 10,000 crore from the budget in 2017-18 and under the revised plan it has mentioned some Rs 18,000 crore. So there is a likelihood of Rs 8,000 crore of additional money coming in this year from the budget. Going forward, there is a big challenge for PSBs to raise equity capital either through divestment or through equity expansion. Barring SBI, no other bank has strong financials to raise money at a higher valuation. Most of the new capital will go down the drain as more than half a dozen PSBs are under the preventive corrective action (PCA) of the Reserve Bank of India. The RBI puts banks under PCA when there is a drastic fall in the capital levels, lower profitability and losses and higher NPAs. The asset quality review and bankruptcy proceedings have already put additional NPA provisioning burden on banks. The capital is already getting absorbed in provisioning as NPAs are only growing quarter after quarter. The economy has been witnessing historically low levels of credit offtake. The credit off take has plunged to single digit in the last few years because of over-leveraged corporate, lower capacity utilization and slowdown in the economy. There is actually no demand for credit. In the last three years, only one engine - retail banking - is growing whereas the corporate side is mostly refinancing or working capital loans. Under the plan a bulk of Rs 1,35,000 crore is to come from repitalisation bonds. There is no clarity on the issuers of these bonds and who will subscribe to such bonds. Will they be interest bearing and who will pay for the interest and how much will be the interest? These will have implication for the issuer (if government issues it) in terms of widening of fiscal deficit. The PSBs have been suffering because of government ownership and archaic systems and processes. The Bank Board Bureau (BBB), which was set up to look into many of these issues has not seen any success. There is no accountability in the PSBs today. The credit standards are quite weak, resulting in banks sharing bulk of the NPAs in the system. In fact, these banks also lack in technology and digital banking, which is already transforming the banking industry. They are already miles away in the race when it comes to Fintechs or private banks. There is lot of catching up to do by PSBs. Capital alone won't resolve these issues.